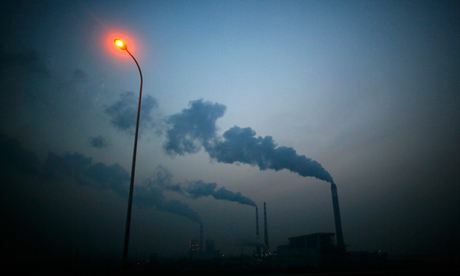 Greenhouse gas emissions grew nearly twice as fast over the past decade as in the previous 30 years, bringing the world closer to warming that will bring dramatic and dangerous changes to the climate, according to a leaked draft of a United Nations' report. "Global GHG [greenhouse gas] emissions have risen more rapidly between 2000 and 2010," said the draft obtained by the Guardian. "Current GHG emissions trends are at the high end of projected levels for the last decade." "The global economic crisis 2007-08 has temporarily reduced emissions but not changed the trend," the draft said.